PlayerUnknown's Battleground Mobile update 0.12 stable version is live and available for download. The maintenance notice, including all the details on the update, can now be seen while logging into the game. This new PUBG update has brought back the survive till dawn mode. The zombie mode includes new zombies and weapons to kill them. 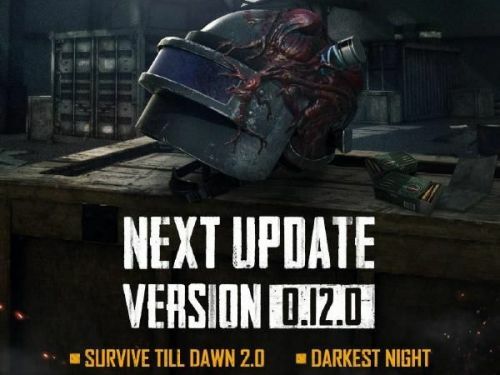 It also includes a new darkest night mode, where you have to stay alive for one night while fighting hordes of zombies. PUBG Mobile update 0.12 includes one of the most requested features from the community. Players can now spectate their friends who are in a match; this has been a great add-on to the existing PUBG mobile features. Spectating friends will help both the parties to gain more knowledge about the game and each other. PUBG Mobile update 0.12, however, didn't include the companion feature that we saw in the beta update. It looks like it is too soon to get excited about companions in PUBG. After being taken offline for maintenance on April 16, from 00:00:00 to 08:00:00 (UTC), the new version was made available today. Players who update before April 23 will get the Outfit Box III (7d) and 1,888 BP as a reward.